Like other ‘girls’, Rosmah likes handbags. What about shoes? You may have the money to buy a diamond encrusted handbag, but you still can’t buy class. 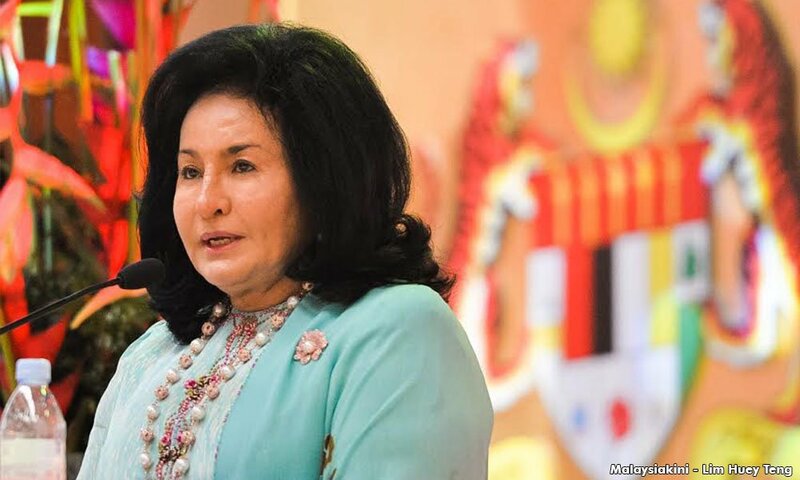 Rosmah’s Cinderella moment on video! KUALA LUMPUR, April 14 ― Coveting a new pair of shoes has never been more on trend, with 81 per cent of Malaysian women spending an average of two weeks a year looking for their sole mates. 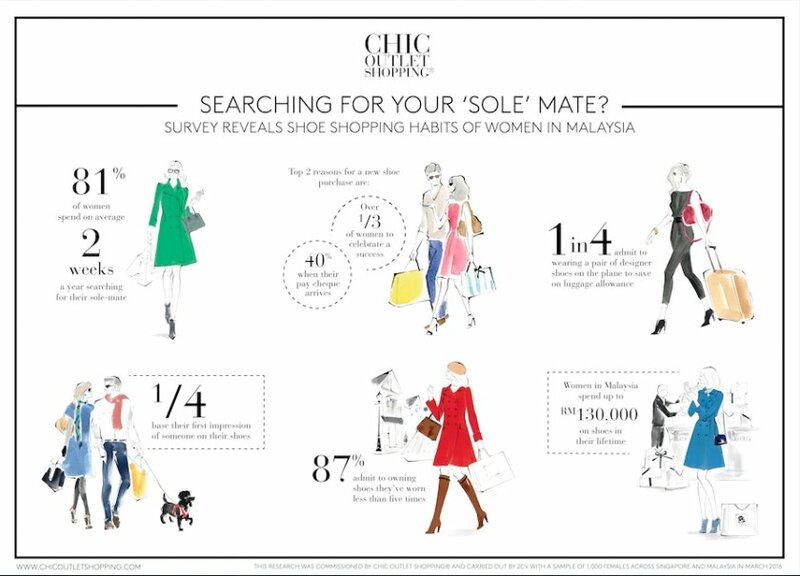 The survey of 1,000 women across Malaysia & Singapore was commissioned by Chic Outlet Shopping, the Collection of nine shopping Villages across Europe in celebration of their Spring shoe campaign “The Secret of Shoes”, dedicated to the craftsmanship and memories that the designer heel holds for many of us. Showing their appetite for a designer purchase, 77 per cent of respondents admitted to topping up a secret designer shoe fund every month, saving up to RM1200. Over a lifetime, the survey indicates women in Malaysia spend up to RM130,000, with RM85,000 reserved for designer shoes. A nation of dedicated shoe shoppers, one in four respondees buy several pairs of the same shoe or one in every colour once they’ve found their perfect pair. In stark contrast, 87 per cent admit to owning shoes they’ve worn less than five times, with one in five owning shoes they’ve never worn at all. There is nothing wrong in owning handbags and jewellery if the person is able to afford it, said Deputy Agriculture and Agro-based Industries Minister Tajuddin Abdul Rahman. The Umno supreme council member was defending Prime Minister Najib Abdul Razak’s wife, Rosmah Mansor. The Umno supreme council was defending Prime Minister Najib Abdul Razak’s wife, Rosmah Mansor. “(Just) one or two bags, why not ? She’s a lady, I know girls like handbags. “I was told that one of the way of tackling a girl is buying (her) a handbag,” he told reporters in Parliament. As for Rosmah’s jewellery, Tajuddin argued that the prime minister’s wife was moderate in what she has or wears, and jokingly pointed to his arm saying he has never seen her wearing jewellery up to her elbows. “I didn’t see (her wearing jewellery) until here (her elbow),” he said. “Some of the Indian ladies like to wear (jewellery) until (their elbows), but not diamond and gold, all that imitation,” he laughed. This entry was posted in Uncategorized and tagged najib and rosmah, rosmah likes handbags. Bookmark the permalink. 2 Responses to Like other ‘girls’, Rosmah likes handbags. What about shoes?